With a crowded field to contend with — namely Apple, Comcast, and a host of security firms — DTE Energy saw an opportunity to break from the pack and develop a digital app that provides its customers with real-time access to their energy consumption. 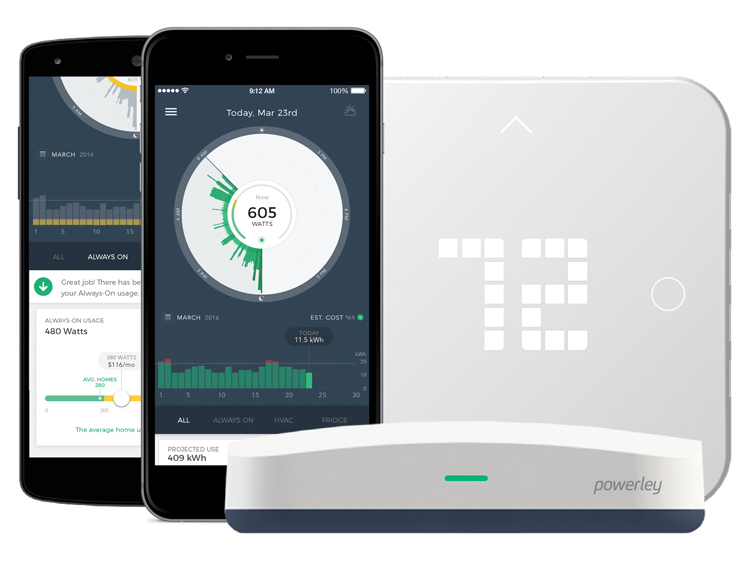 Launched in 2015, following three years of development, DTE Energy and Vectorform — a global design and technology firm in downtown Royal Oak — formed Powerley, an enterprise that encourages residential customers to reduce and control their energy use via a smartphone app. In tandem with traditional marketing programs, the state’s second-largest utility says its bottom line is better served by working with customers to lower their monthly natural gas and electrical bills rather than spending years to gain federal and local approvals to build a coal, natural gas, or nuclear power plant. Since the rollout in August 2015, Powerley has been installed in 80,000-plus homes. Overall, the utility serves 2.2 million electrical and 1.2 million natural gas customers. With assets of $28.7 billion, DTE reported $10.3 billion in operating revenue and $727 million in net income last year. The energy bridge, roughly the size of a slice of bread, is a device that seamlessly communicates with a smartphone, a smart meter, a router, and individual appliances — including heating and cooling equipment (furnaces and air conditioners) — to track and share energy usage. Once a residential customer downloads the app, they receive the free energy bridge in the mail. From there, following routine connections, the energy bridge monitors the energy output of smart appliances, a furnace or a boiler, and air conditioners. The utility also sells sensors and smart plugs, priced under $12, to monitor older refrigerators, stoves, or dishwashers. Once in use, customers can view and control, for example, how much electricity their air conditioner is consuming on a hot and humid day. Designed with colorful, easy-to- comprehend graphics, the app has maintained strong repeat engagement rates, Kumar says. “Right now we’re in discussions with four other utilities in the country, and we could expand internationally,” he says. “We also are looking to make Powerley available to small- and medium-sized firms, along with commercial and industrial users. What we’re doing is bringing the internet of things to the consumer marketplace.